Life is healthier with Pest Control. This concept might not have occurred to you, however homes and businesses can become plagued by disease-carrying Rodents, Cockroaches, Spiders, Ants, bugs and other nasty creepy crawlies. 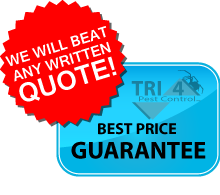 Here at Tri4 Pest Control we know that using a regularly scheduled and affordable local Pest Control Service is the best way to protect you and your families. We also specialise in Termite Protection for new homes and buildings using Trithor Termite Barrier, It is the best Physical Barrier on the market and comes with a 50 year warranty*. 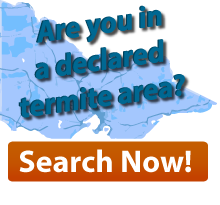 For existing houses and buildings please see Chemical Treatments and Timber Pest Inspections. Tri4 Pest Control is a proud memeber of the Australian Environmental Pest Managers Association. All our work is safe for the enviroment and done using our green protection systems.